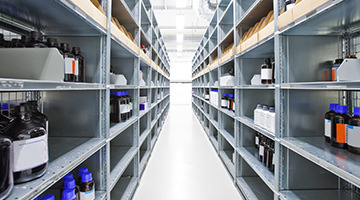 Pharmacy floors, whether in hospitals, compounding labs or stand-alone retail operations, are consistently exposed to a multitude of chemicals and liquids as part of daily operations. Maintaining a safe environment for personnel, patients and customers is essential for any pharmacy. This is further underscored by the fact that many apothecaries now offer immunization and other clinical services. At the same time, the visual impact and aesthetics of pharmacy facilities can be equally important in an ever more competitive marketplace. Florock offers a wide array of customizable flooring systems ideal for pharmaceutical floors that can be help maintain strict standards and create a welcoming environment. Pharmacy floors require high performance flooring systems that will stand up to an apothecary’s daily operations and conditions. 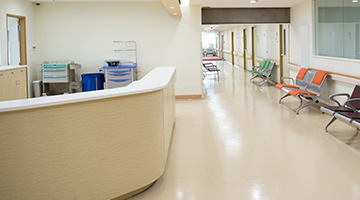 Our flooring systems are formulated to meet some of the strictest standards in the medical and healthcare industry. Florock floor coatings are made to meet the challenges of environments like yours. Because your pharmacy and personnel are important, we offer complete full service and support from design to construction to ensure your complete satisfaction. Our durable epoxy floor coatings for pharmacies are designed to be long lasting, giving you maximum value for your investment. Due to their low maintenance needs and longevity, our industrial and commercial flooring systems furnish superior quality and excellent lifecycle cost. Our floors are easy to clean and require no waxing or special treatments, saving you maintenance dollars month after month. Additionally, each of our floors is designed and professionally installed by our approved contractors with your exact facility in mind. A wide range of stock or custom colors, patterns, blends and even finishes, muted earth tones to popping brights, help ensure that your new floors complement the décor of your pharmacy. From embedding your company logo to selecting a matte, satin or high gloss surface, we have a variety of distinctive options to make your floors as unique as your pharmacy. Contact a flooring rep to learn more about our flooring options for pharmacies.